72 Hours of Over-the-Top Customer Service and a Discussion with Pro Athlete, Inc.
After the turn of the century, I moved my family to rural Howard County, Missouri to be closer to aging parents so we could better help and serve them. Shortly thereafter, my wife and I were asked to attend a small group study with other couples our age. Great idea until I heard the topic. We were going to spend each week discussing a chapter of Gary Chapman’s The 5 Love Languages. “You’ve got to be kidding!” That’s what I kept repeating to myself over and over like an old needle skipping on a warped, 33 RPM vinyl record. You see, I’m not a touchy-feely person at all. Sports, business chatter, more sports, more business chatter, and some good Seinfeld. That’s my world. I’m really good at superficiality. But then a weird thing happened. It turns out The 5 Love Languages is a good book. No, it’s a great book. And the reason Mr. Superficiality liked it? It read like a great customer service book every CEO should read. My love language is Acts of Service. Want the keys to my heart? Then serve me. I’m also at my best when I’m serving (as in doing, and going overboard when I can). And that’s why businesses with great intentional, customer service resonate. I give every business monopoly power that takes customer service seriously. Monopoly power? That means those businesses own my wallet. If only every business knew the love language of its customers when they needed help or just needed to vent. During one 72-hour time period, I was blown away by incredible and over-the-top customer service. And I want the world to know. Tiger Towing of Columbia, Missouri comes to the rescue. I needed a quick lunch at HyVee after a great meeting with team members at Pro Food Systems. As I turned the key of my F-150 to leave the parking lot, I heard the sound we all dread followed by two words of my own (the first word starts with, “Oh, …”). The battery just clicked. Okay, no biggie. Since I was traveling to Atlanta the following day, I was able to ditch the bad attitude quickly and do a Google search on anyone that could tow me to a shop. Tiger Towing was first in the search rankings, so I called them immediately. “We’ll be there in 30 minutes.” Well, not great. But that meant I could make phone calls, get through e-mail, and do some reading during the wait. Such gall, they lied. Well, not really. They were there in 14 minutes, not 30. I timed them. Don’t forget, I quantify. I’m good at quantifying. And it was just 14 minutes. The guy was smart, quick, friendly, and gave me some advice on what to do next. I called their store to thank them. I think they were shocked because they are not used to those calls. Maybe they thought it was a prank call. Probably because too many people are still fuming over the clicking noise from their car battery. They just don’t know my love language. O’Reilly Auto Parts of Fayette, Missouri has an employee that should be in a store manager’s Hall of Fame. My F-150 needed a new battery according to the Tiger Towing guy. So on a cool, damp, gloomy day, the store manager named Dee not only ascertained what I needed, she changed the battery in the parking lot while I held an umbrella. Dee was nice, smart, and caring. I was more than a customer. Dee spoke to me as a friend. She never tried to over-sell me either. She epitomized exemplary customer service. Did you pick up on the part that Dee is a girl? And no, she wasn’t offended when I asked her where she got her mechanical aptitude. Turns out her dad wanted her to have a skill to fall back on. Dad, you did good. Dee was awesome. O’Reilly, I love the culture of your organization. Thank you for being flexible in your work policy too. Dee reminded me of that policy more than once. She loves your organization. The world needs to know Dee. CEOs could learn much from her. I also think she knows my love language. Enterprise Rent-A-Car, I love you. In less than 24 hours, I was seated in a small sports car at Enterprise. No, that wasn’t my rental. They just let me sit in it first because my associate saw the twitter in my eye after I whistled at it. My associate ultimately escorted me to my car and we spoke for nearly 10 minutes. She was great. But it got much, much better. The following day, I was running late. Not only did I get caught in Atlanta traffic on the way back to the airport, but I thought my GPS was going to cuss me out while she navigated me through the never-ending construction zones at Atlanta International Airport. There was no way I could stop to re-fuel my car before I arrived. At that point, a $200 surcharge would have been chump change. I just wanted on my seat so I could get back to Missouri. “Don’t worry about it, I’m just charging you for 2 gallons” That’s what the Enterprise guy said. Say what? No, you don’t understand, I’m late. I didn’t fill up. Please, take my credit card. I’m a CFO. You need my money. Follow your process. I broke the rule. Charge me, please! I’m a bad customer. Is that a new rule at Enterprise? Or did they call my wife to find out my love language? Bottom line, great customer service. And I will continue to give Enterprise monopoly power. I have worked with many great businesses over the years, but I don’t think I’ve encountered a group of people that live and breath customer service the way Pro Athlete, Inc. does. Pro Athlete sells baseball bats and gloves through multiple e-Commerce channels including their own branded websites like JustBats.com, JustBallGloves.com, BatWarehouse.com, and BallGloveWarehouse.com. I am also a happy customer having bought gloves and bats from them over the years. I still have a saved transcript on my hard drive where one of their team members helped me in deciding on the right gloves for my 2 boys. 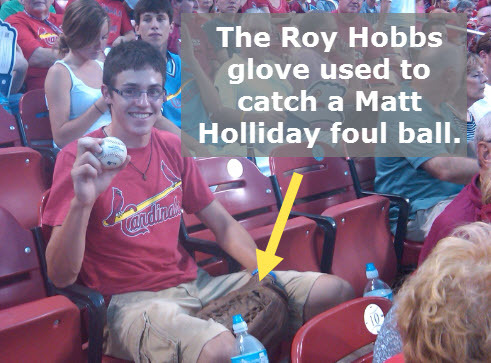 G3CFO, Junior used the Roy Hobbs glove we purchased from JustBallGloves.com to catch a Matt Holliday foul ball in 2011. I was stressed because there were too many choices. The chat guy (do they have a name?) helped me narrow down my choices till I settled on two Roy Hobbs gloves. He never pushed me. He wasn’t in a hurry. He was intelligent. I felt like I was his only customer. I’m not just a customer that gives JustBats.com or JustBallGloves.com monopoly power over my wallet, I’m one of their evangelists espousing their great websites and great service to every baseball player I know. They didn’t ask me to. I want to. Since Pro Athlete has such great customer service, I thought I’d ask, “Can I talk about you?” I was thrilled when they gave the thumbs up, or was that the safe sign instead? Austin Hall, Customer Service Manager at Pro Athlete, Inc.
G3CFO: Customer service does not seem like work in your business. Am I right? Austin Hall, Pro Athlete: In as simple terms as possible to put it, making the customer happy is what it’s all about. If you’ve ever had that feeling in your body when you do something for someone else that makes them really happy, you know what I am talking about. That’s what customer service is for our business. Every time you get done talking to or helping a customer, you should get that feeling. The customer service departments that lose sight of that are the ones that we so often dread to interact with. Every time a customer requests an interaction with you, it’s an opportunity to make someone else’s day a heck of a lot better. If customer service departments would look at it that way instead of looking at it like a burden, the whole world would be better off. As a customer service rep, you get the opportunity to make someone else’s day better multiple times throughout the day. The level of service that you provide a customer is going to be the lasting impression you have on them. If given the opportunity and you strike out, you may never speak with that customer again. But knock it out of the park, and you have a fanatical fan for life. G3CFO: What is your advice for any small business that isn’t taking a proactive approach to great customer service? Austin Hall, Pro Athlete: Wake up and rethink what is truly important to you as a customer and make sure you are offering that level of service to yours. It’s not hard at all. It really has nothing to do with scripts, wait times, availability, first call resolution, service levels or any of those things. Although those are very important to help put the icing on the cake for your customer service team, success in this field boils down to one thing. It boils down to genuinely caring. You can’t train someone to care about other people, you have to hire people who care. You can train them to say what you want or type what you want, but a customer can see right through that if it isn’t genuine. If any of your customer service reps don’t get that amazing feeling in their body when they help someone, then you have the wrong people. When you find the reps that care, make sure you take care of them. Happy employees make for happy customers. G3CFO: NPS (Net Promoter Score) is important in your business. Which came first, your relentless pursuit to the highest form of customer service, or obtaining your NPS score to help you drive better performance in customer service? Austin Hall, Pro Athlete: When we were introduced to NPS, we instantly fell in love with the concept because of the synergy we shared [with this methodology]. As previously stated, we have always had the drive to provide the best customer service possible, but now with the help of NPS, we are able to easily manage our efforts in a simplified and effective fashion. The NPS score is very important to help manage your customer service at a high level, but what sets true customer service focused companies apart is not the score itself, but how they manage the feedback. We strive to close the loop on every necessary piece of NPS feedback. Your customers are trying to tell you something, so why not listen and act on it? These tactics have helped us get to an NPS score of 90 over the last year. There is no metric that we have found in business that better showcases how you are doing overall as a company. NPS covers every facet of the business, and allows us to take our customer service efforts to a whole new level. G3CFO: So a business has to be careful in adopting NPS, right? They need to be prepared to act once they get their score, correct? Austin Hall, Pro Athlete: The score is great, but acting on the feedback is the key to a successful NPS program. If you have detractors of your brand, you need to know why and work to close the loop so you can turn them into passives or promotors. Companies who do NPS just to put a score in some line on a metrics dashboard are totally missing the purpose behind it. Handle every piece of feedback carefully, because your customers are trying to tell you something that could improve your business. G3CFO: What is your best practical advice for a business adopting NPS? Austin Hall, Pro Athlete: If you are just starting NPS, it’s easy to focus on the detractors only, but don’t forget about the promotors. Let them know that you appreciate their positive feedback. Who doesn’t love to hear a thank you, especially someone who just gave you the ultimate compliment anyone in business could get. Finally, you should always try to put a personal touch on your interactions with customers following their NPS feedback. They took the time to help you make your business better, so you should show them how much you appreciate it. G3CFO: I understand that you share customer feedback throughout the entire company. 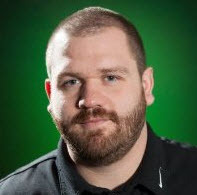 Austin Hall, Pro Athlete: Anytime we see negative feedback, we are sure to share that feedback with the department managers and usually create a new project to improve any processes that negatively effect our customers. We [also] follow-up and close the loop on any NPS response that comes back with a rating of 8 or below. 1. Customer service IS NOT a department. It’s a way of life. It starts with the heart. We just use the mind to build structure and systems to support and serve the customer service culture. 2. Customer service starts internally in the way we treat our own team members. In short, we can’t fake it. If we don’t like providing great customer service internally, how will we pull it off with the people who write us checks? 3. There is no single how-to book on great customer service. Any book that teaches us how to be nicer, kinder, and gentler, well, that would be a great book on customer service. 4. Great customer service starts with intentional and visionary leadership. It’s not accidental. It’s not flavor-of-the-month. Unfortunately, creating this type of culture is really an extension of the leader’s personality. If you don’t care passionately about great customer service, such efforts will be marginal at best. 5. As much as I value the NPS process and methodology, it’s what you do with the results that matter. During the interview with Austin, we mentioned NPS (Net Promoter Score). My favorite article that I share with growth CEOs on this topic is found over at HBR, and it’s titled The One Number You Need to Grow. On of scale of 0 to 10, how likely is it that you would recommend this blog post to a friend or colleague? Since I couldn't make it to the big leagues, I settled for the next-best job - accounting and corporate finance. I began my career with KPMG Peat Marwick and followed that gig with various corporate finance roles at some amazing Missouri-based businesses. Today, I do my own thing as a Free Agent CFO™ where I help scores of small to mid-sized businesses as their CFO. Would you like to be next? Just being empathetic towards the customer is a huge step. From what I have seen being a customer service rep is one of the hardest jobs because you can take a beating day in and out. Do you think that the largest flaw of companies is that they put such little importance on customer service? Do You Display a Sales Rep Leaderboard in Your Business? Would You Want to Be CEO for Barnes & Noble? Does Your Small Business Really Need a CFO? The G3CFO answer may surprise you.